Enhancing your home’s energy-efficient features is a savvy way to make the space more livable while also making a smaller impact on the environment and your bank account. Aside from ensuring a properly installed, insulated and sealed doorway, the door itself can also make a difference when it comes to energy efficiency. For example, foam insulated entry doors offer greater energy conservation than wooden alternatives. Also remember that proper sealing and installation applies to all access points, including garage doors. Some models like the Velux No Leak Solar Powered Fresh Air skylights, which along with installation costs are eligible for a 30 percent federal tax credit, are powered by solar energy, making them even more efficient. 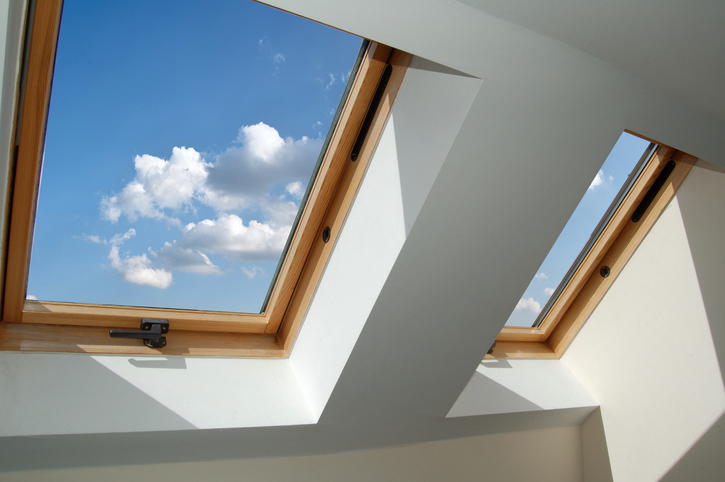 Additional features can further enhance the energy-saving benefits of installing skylights. For example, for added flare and light control, homeowners can add blinds to skylights, choosing from more than 100 colors and styles. Learn more about making the fifth wall part of your energy-saving plan at whyskylights.com. Climate control accounts for as much as half of the average home’s annual energy costs, so while it’s a behind-the-scenes home feature, it’s an important one. An outdated heating, ventilation and air conditioning (HVAC) system, or a system that isn’t big enough or strong enough for your home’s footprint, will draw more energy than necessary to maintain a desirable temperature. Regular service can help keep systems operating smoothly, but eventually all HVAC systems need replacing.